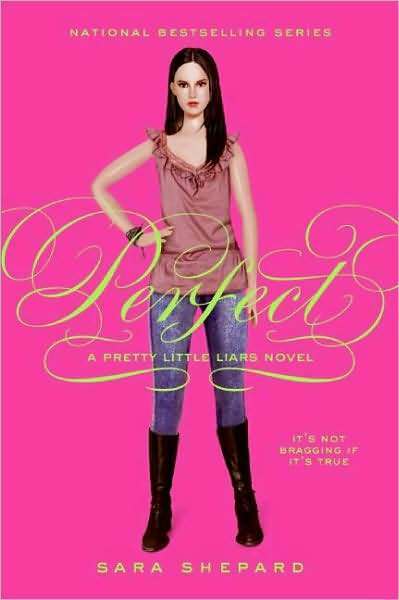 I love ”Pretty Little Liars” series they are filled with little secrets and lot of unexpected twists. 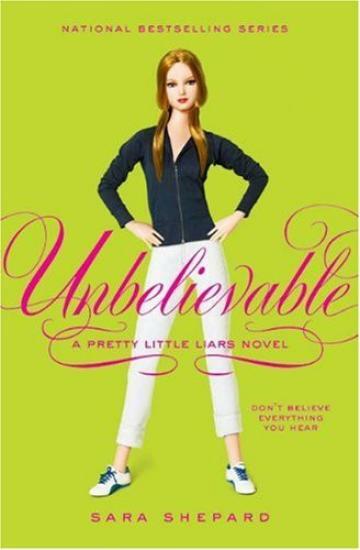 ”Unbelievable” is the 4th book in the series. Previous book ended with Hana getting hit by a car and Aria, Emily, Spencer getting a message by A that she knew too much that’s why A had to hit her. This book starts with Hana in hospital suffering from memory loss( as expected). Our pretty little liars face so many problems and go through mental torture but finally when Hana gains her memory the identity of A is revealed and even Ali’s murderer is arrested. Who is A? Who is Ali’s murder and what was the reason to kill her? This book is kind of my favorite out of 4 books in the series, because I feel this book cant get more bitchier than this 🙂 According to me this book is the perfect ending of this mysterious series, but I see 5 more books in the series. I don’t know what more secrets are hidden. I am still wondering what author can add in next books when everything is settled and explained. I kinda feel pity for these girls. By the way there is someone still watching them.. so I know more secrets to come. The third part of ”Pretty Little Lairs” will shock you. I was getting restless after finishing the second book and couldn’t wait for long. There is some thing in these books which will hold you from beginning to ending and one will become more restless when a book ends because it will be a opening to a new suspense. Usually I get bored to read series I like to read novels which don’t come as series of books. Till now I have completed only few series- ”Harry Potter”, ”Hunger Games”,and ”Conversion”. 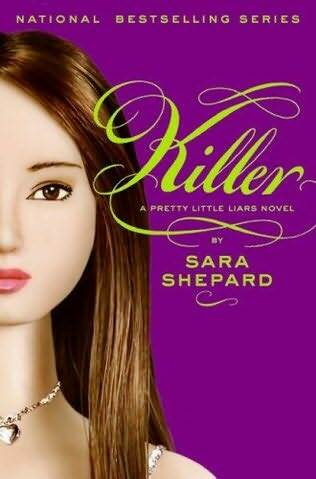 This book reveals a lot about ”A” and Ali’s murder. It is impossible to write a review without making any spoilers. Can Emily and Maya’s secret be kept safely in the closet? Can Spencer recall the night Ali disappeared in full detail? What happened to Spencer that she can’t even recall what happened that night? Where Aria and Ezra’s relation will reach if people come to know? But someone now knows who is A! Yes, Hanna came to know who is A but what will happen to her? Complete suspense and when you read it the mystery gets more interesting. 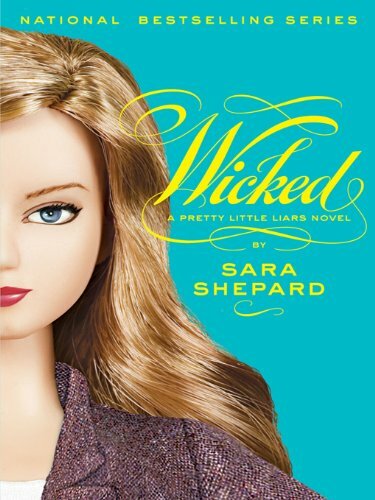 I couldn’t wait more to find out what happens to pretty little liars in the second book. This book picks up right where the first book leaves off. The four girls meet after the funeral of their deceased friend and share some of what the mysterious “A” has threatened. Aria has her this thing for a boy who used to be Hanna’s boyfriend or its just that she wants to forget her English teacher? Hanna’s actions in the last book leads her to punishment and she is forced to work in a burn clinic. Her relationships are all over the place-Mona is feeling that she keeps secrets from her, her dad reappears and dis appears as soon as he came, her boyfriend dumps her. Spencer’s relationship with Wren is proving to be more difficult than she thought when he is a backstabber and cheater. Emily is more confused than ever about who she is when she meets a really hot guy…Toby, the stepbrother of Jenna! is it safe for her to date a enemy from past? It gets better in this book, confusion and suspense makes it a fast read. May be next month I can read the 3rd book. Its one of my favorite young adult novels, even though I read it once long back, I wanted to read it once again before I review it. I really appreciate the author for creating such a wonderful suspense story. I so wanted to read the remaining books but I was caught with other books. 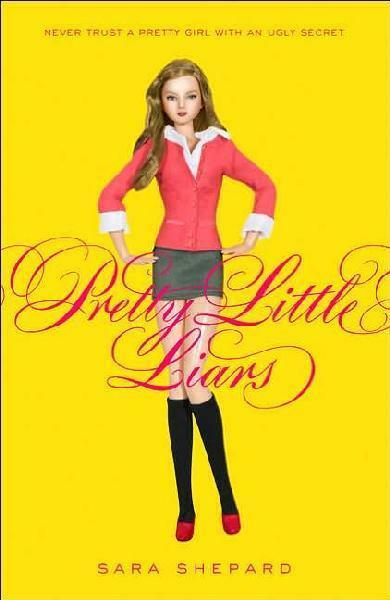 I watched Complete 1 season of ”Pretty little liars” and 2 season is waiting to be watched in my system. I heard that they are broadcasting the 3 season next week on ABC family. Imagine you having a popular BFF and everyone wants to be you, but you are not sure weather having such a BFF is curse or blessing. This is how it is for Aria, Spencer, Hanna and Emily. Their BFF Alison disappears during the slumber party.After her disappearance, the four friends gradually drift apart until no one can even recall they were once friends. It’s now three years later and the teens are about to start their junior year. Spencer is very clever and competitive with her older sister about everything, Hanna is now the new model like girl but carries a terrible secret about her drastic makeover,Aria is back from Iceland with her family and has a crush on a new boy, unfortunately she just found out he’s her new English teacher, and Emily is the good girl doing what she can to please her parents, that is until she meets Maya and finds out a new change in her. All four have secrets and they shared it only with Alison who took it with her to grave or thats what they think until it all starts coming back to them haunting. They start getting message and mails about their little secrets by A. Their life is complete mess now! Who is A? What happened to Alison? What are their secrets? 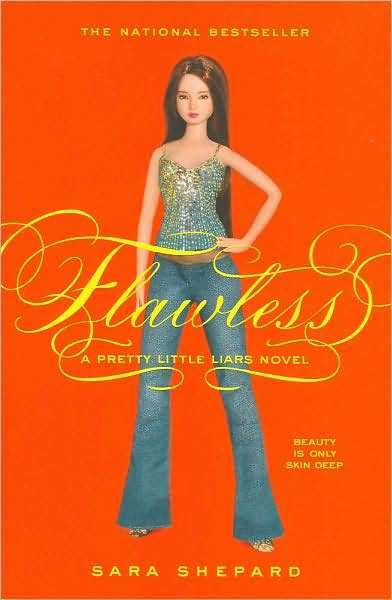 Now that I read this book, I will soon start reading remaining books from ”Pretty little liars series”. Once I finish this series I want to read Lying game by the same author.